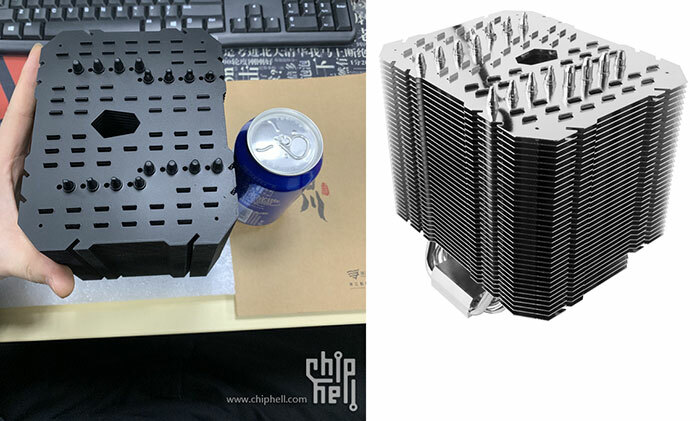 A new matt black finished passive cooler from Thermalright has been spotted in China. FanlessTech reports that this is a previously unseen variant of the HR22, officially listed here in silver. Looking through the official specs of the Thermalright HR22 (silver) and comparing them to what is known about the HR22 Plus (black) I can't see any real difference except for in the anodised aluminium finish. However finish/colour can be a consideration in thermal design, depending on the application. 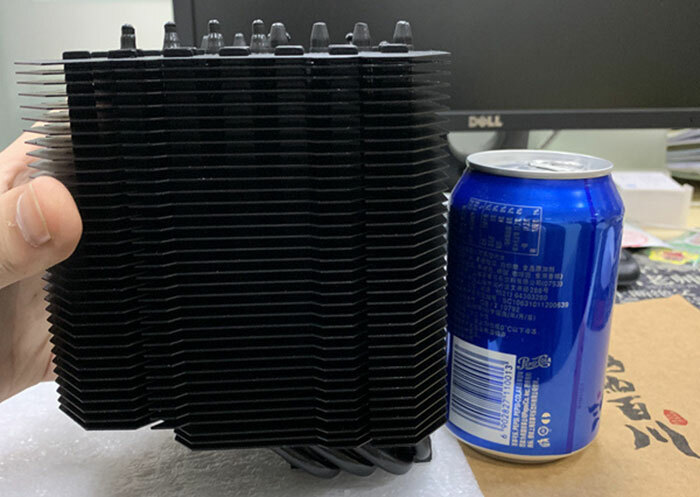 Otherwise they look to be the same design, both feature 8x 6mm heatpipes, and weigh in at 1120g (comparison image below). Optionally, users can install some push-pull fans (120mm) to cool CPUs with TDPs up to 200W. But Thermalright says that it won't fit on any Mini-ITX designs. Due to its mass, it is probably best for systems where the motherboard is in a horizontal orientation. One last thing that might be a difference between the HR22 and HR22 Plus is that the latter's packaging lists Intel Socket 2066 compatibility, not a spec listed on the silver model product page, but the site might just need a textual update. 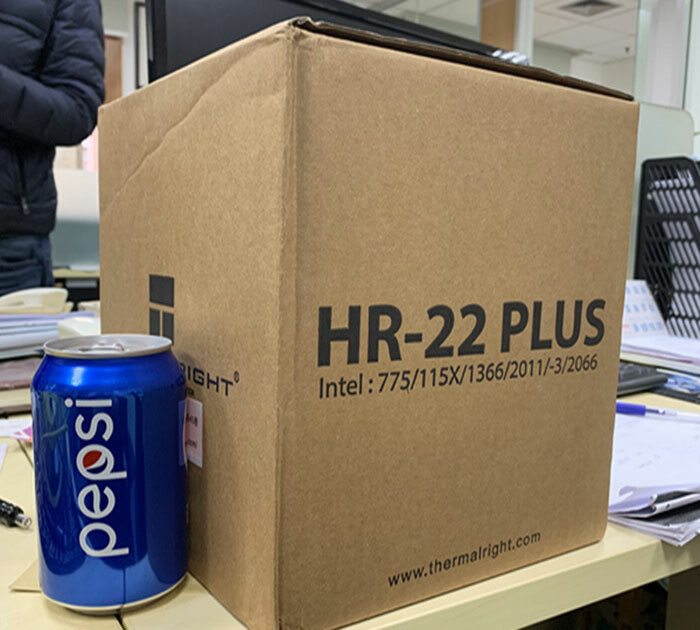 We don't have pricing or availability info for the Thermalright HR22 Plus black. It looks like it is available in China right now. Those from other regions that are interested are encouraged to write to sales@thermalright.com and ask about it. All Thermalright HR22 Plus black images came from ChipHell.com. EKWB Vector Radeon VII water block launched Deepcool shares info about its patented anti-leak technology Thermalright Silver Arrow TR4 Threadripper cooler launched Thermalright launches Le Grand Macho, a passive / active cooler QOTW: Which CPU cooler do you use?